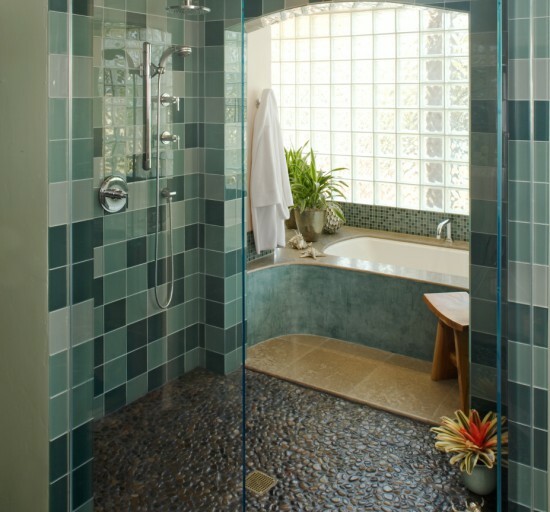 In this blufftop home, San Diego interior designer Jim Walters created another one of his award-winning bathrooms. 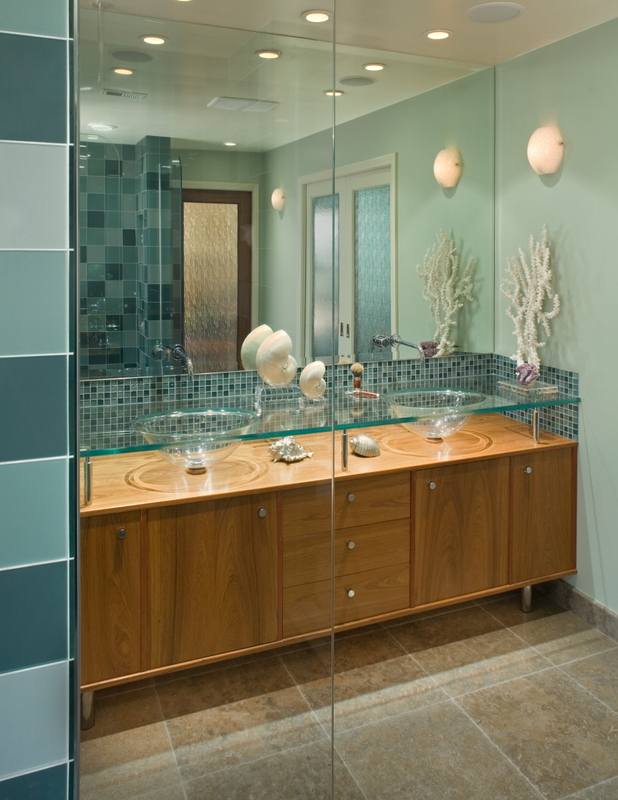 This new master bath in a seaside home reflects the sparkle and colors of the ocean waves below. 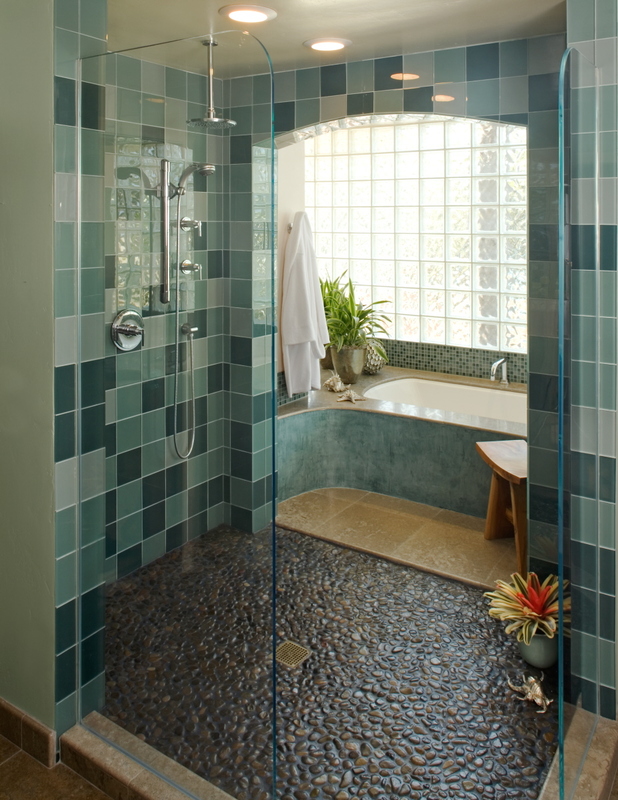 The shower walls are faced with tone-on-tone glass tiles; the shower floor is paved with pebbles. 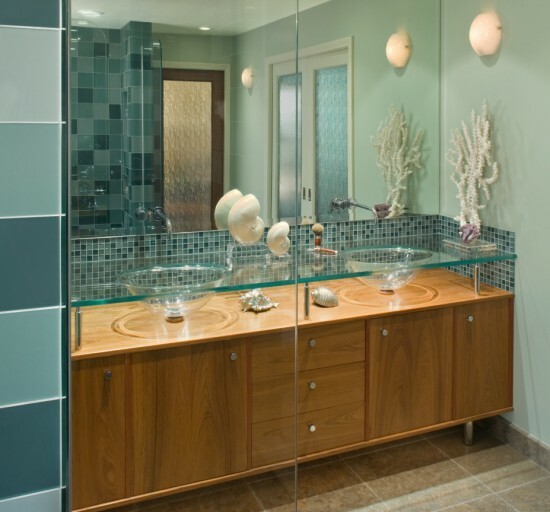 "A sea theme highlights this bathroom in Cardiff-by-the Sea. A warm, contemporary beach feel."